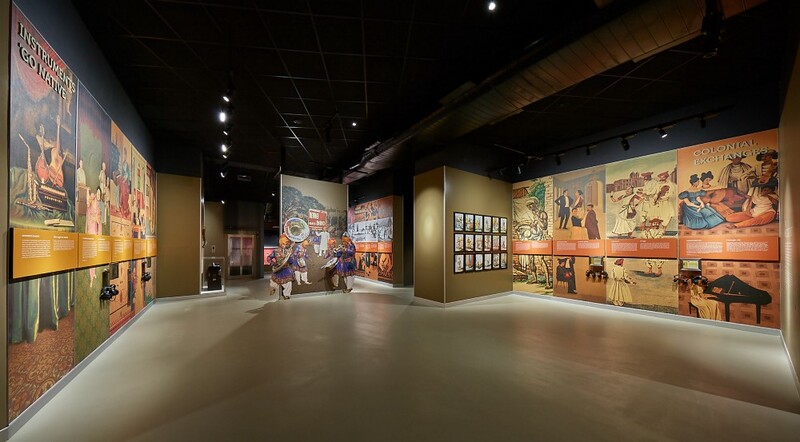 This brand-new interactive museum in Bangalore invites a new generation to dive into the country’s extraordinarily rich and diverse musical history. Classical Indian singer Manasi Prasad has spent the last fifteen years traveling the world performing in the Carnatic musical tradition. (See her TEDx Hyderabad talk, “Making Indian classical music relevant to the contemporary.”) But Prasad’s lifelong passion for Indian music has prompted her to take a pause and create something lasting closer to home: a contemporary interactive museum space that encompasses the full two millennia of India’s extraordinary musical traditions, aiming to enchant, educate and engage a whole new generation of young people. As the Indian Music Experience opens this week, we asked the TED Fellow to tell us more about how she directed the creation of this unprecedented space almost from scratch—and to share some of her own favorites from India’s musical past and present. What’s the purpose of the museum? The vision for the Indian Music Experience is to introduce everyone — especially young people — to the full diversity of Indian music, from the traditional to the contemporary. Indian music has a history of 2,000 years, possibly more. The one original proof we have of its ancient past is a book called the Nāṭya Śāstra, which people say was written somewhere between 2nd century BC and 2nd century AD. Given its heritage, when I say “Indian music,” most people’s minds naturally turn to more traditional styles — often involving sitars, tablas and so on. While it’s true and interesting that the tradition of Indian classical music goes back a long time, the exciting thing about music in India today is that it’s a very eclectic mix of cultures and influences. Right now, there are many new genres of music in India resulting from the intermingling of different influences between genres and traditions within the country, as well as influences from outside. In the museum, we’re trying to show people a bit about the full span of Indian music. There’s of course a space dedicated to Bollywood, a big part of our musical culture. The Indian Music Experience offers a vast space in which to explore, learn about and listen to India’s vast musical traditions and genres, including today’s contemporary sounds. How did the museum come about? The museum is the brainchild of our main funder MR Jaishankar, who’s chair of a real-estate company in Bangalore called the Brigade Group. He set up the Indian Music Experience Trust to create the music museum, and approached me to direct its creation. I’d won the Young Achiever award instituted by the Rotary Club sponsored by Brigade in 2006. At the time, I mentioned that my dream was to set up an institution for music that would set a benchmark. A couple of years later, Jaishankar asked if I’d be interested in spearheading a “music project” — an offer I jumped at. I came on board when there was nothing but a piece of land. Our founder said to me, “Let us do something.” So really from there to where we are now, it’s been a very exciting journey. State of the art theatres, instrument galleries and interactive timelines take visitors on an immersive journey through Indian music history. What does the museum consist of? The museum is made up of three main parts. The first is a multimedia, experiential, walkthrough gallery space where the history of Indian music is divided into thematic chunks. There’s a gallery about contemporary expressions, folk music, Bollywood and the history of recording in India, for example. The galleries tell the story of Indian music through storyboards, as well as through interactive computer-based audio-visual kiosks where you can listen to music as well as mix your own, record yourself singing and so on. The gallery also holds a lot of artifacts, including more than 100 Indian musical instruments, a very rare phonograph and a gramophone. Outdoors we have the Sound Garden. This consists of musical sculptures — large wind chimes, xylophones, gongs and bells, for example — that anybody can play. You don’t have to be a musician, but you’ll sound good! The idea is for people to experience a “please touch” museum rather than a usual “don’t touch” environment. In the learning center, we have music classes, workshops and seminars, as well as an archival space for education and music research activity. In addition there are a few small performing spaces within the museum. There’s an amphitheater up on the terrace, a theater space for performance and a seminar hall. We also have a large, open-air space for big concerts. And of course there’s a café and gift shop. Outdoors, an interactive sound garden lets visitors make music of their own. This all sounds very contemporary — is an interactive museum something that’s typical of big Indian cities? Not at all. This is the first space of its kind here. In India, the concept of a museum is still sort of that of an old, outdated space with a few dusty objects. Having said that, museum culture in India is slowly but surely changing, and there are lot more new museums coming up that are interesting in terms of design, curation and interpretation. How did you find people to put this all together, then? I had no background in museums, either! So yes, how do you make a museum interesting and engaging? Where does one find information and artifacts? It’s been a huge learning curve. Museums are a very multidisciplinary exercise. There’s design, there’s engineering, there’s construction, there’s curation. The challenge has been to find the right people, and pop them into the jigsaw to make the museum. We worked with filmmakers, we worked with interactive developers, we worked with designers. The Indian Music Experience includes samples of instruments and musical accessories of old, like this gramophone. Very early on, I traveled with the museum’s architects to various museums in the United States to see what’s happening in that world. The other key people behind the project were the exhibit designers, Gallagher & Associates, from the US. We got them on board to help us convert all of the knowledge we’d gathered about music into engaging exhibits. We consulted with more than 200 experts in various genres of Indian music, from classical to folk to film to contemporary. We also sourced instruments from every corner of the country directly from instrument makers. How did you manage to get music historians and ethnomusicologists—who I presume are very focused on their area of expertise—to come to agreement around what’s most important to convey about Indian music? It’s true even of me: I am first and foremost a musician, a singer in the Indian classical tradition. So I value very dearly that aspect of Indian music. But a museum, in my opinion, should be a process of leading people from the familiar to the unfamiliar. You can’t thrust 2,000 years’ of information at them. People would zone out right away. There was a constant back-and-forth of ideas as to what’s important, what can be eliminated. That’s been one of the biggest achievements in the project — reconciling all these different opinions and converting them to something that could be designed into exhibit form. I think in the end, everybody was happy with what they got out of it. The entrance to the Indian Music Experience in Bangalore, India. The unusual curved design emerged from a competition open to young architecture practices in Bangalore. “We invited them to give their vision of how they envisioned a music museum in Bangalore. We told them ‘no trees must be cut’, so the building waves in and out of the jackfruit and mango trees in the site,” says museum director Manasi Prasad. All images courtesy of the Indian Music Experience.